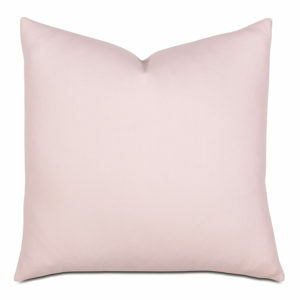 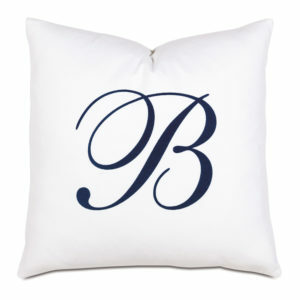 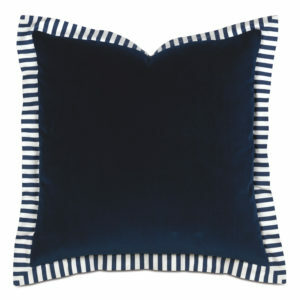 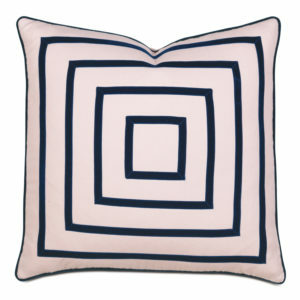 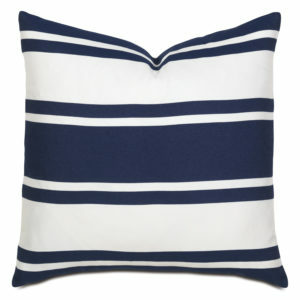 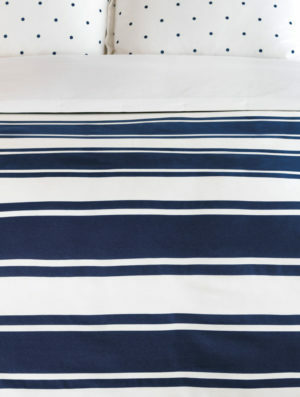 By seashore or lakeside, Barclay brings his own unmistakable flair to glamorous summertime living. 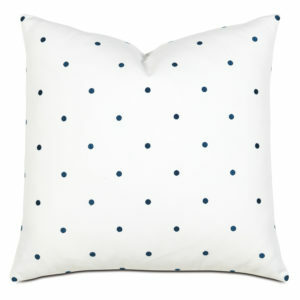 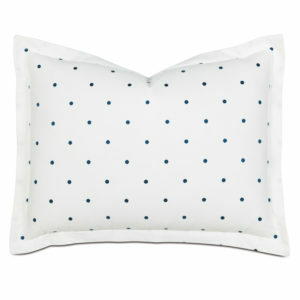 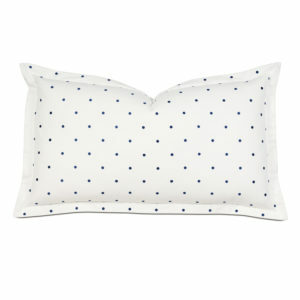 From a skilfully mitered geometric pillow to its polka-dot embroidered shams, each piece is crafted with a precise attention to detail. 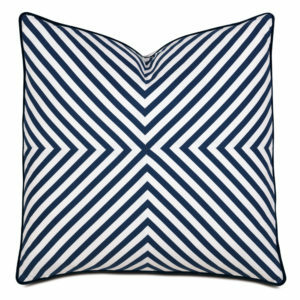 Its diversity in texture and pattern is soothed by a classic blue and white color palette – restful as a summer day.